BOZEMAN, Mont. 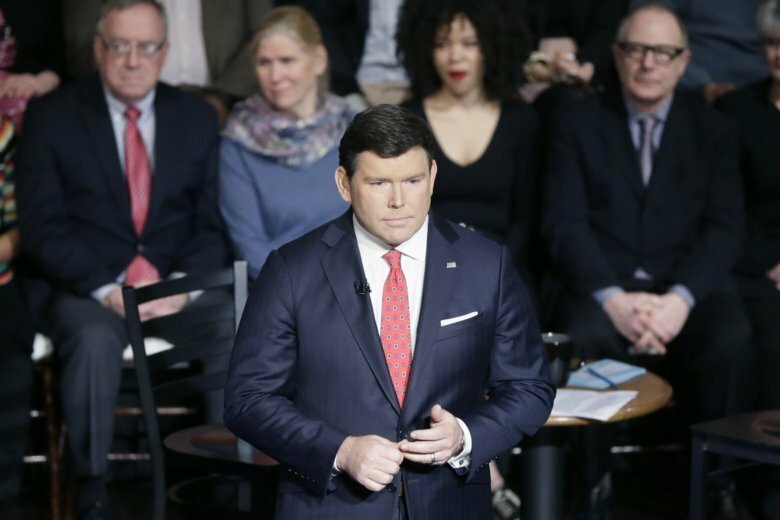 (AP) — Fox News host Bret Baier and his family survived a motor vehicle crash in Montana after the television anchor’s SUV slid on an icy road, collided with a pickup truck and turned over in a ditch, authorities said Tuesday. Baier, the executive editor of Fox News Channel’s “Special Report,” said that after a weekend of skiing he was driving to the airport on icy roads outside Bozeman with his wife and their two sons on Monday when the crash happened. One passenger in the truck was also transported to a hospital for minor injuries, said John Barnes, a spokesman for the Montana Department of Justice. Baier returned to the air Tuesday night. He thanked his audience for their thoughts and prayers and he became teary as he told viewers to count their blessings. “I had to be here today to show you I’m OK,” he said.